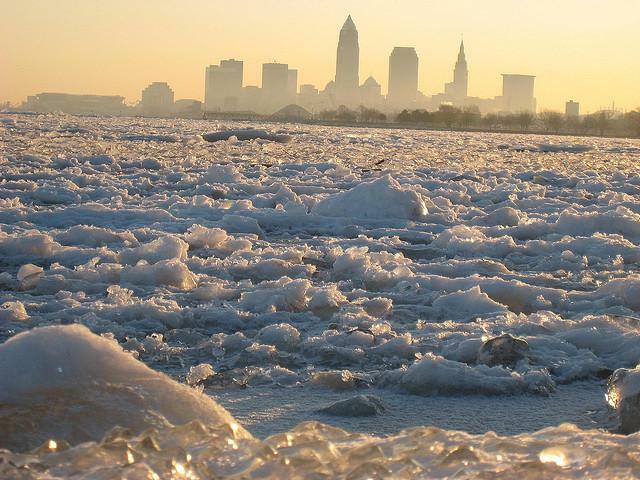 Issues like handling ice floes in relation to wind turbines in Lakes Erie and Ontario still need to be worked out, according to the New York Power Authority. Western New Yorkers are still waiting to hear what the state’s Great Lakes Offshore Wind (GLOW) power project will look like. An announcement about where wind turbines would go - and in which lake, Erie or Ontario - was originally slated to come in January, and was then pushed back to the end of March. Now the timeline could run well into summer. The New York Power Authority (NYPA) began considering five proposals last summer for GLOW. The state has promised to pursue the construction of one, which will result in a wind farm in either Lake Erie or Lake Ontario. NYPA is in the final stages of deciding which wind farm proposal to green-light, according to spokeswoman Sharon Laudisi. “We are in the final stages. I can’t pinpoint an exact date. But we are on schedule - still looking at second quarter,” says Laudisi. But that doesn’t mean construction will begin anytime soon. “Aggressively, you could look at 2015 [for construction]. What we’ve learned is, the seasons, when you can do construction and when you can’t. So a lot of that has to be vetted through the permitting process,” she says. Erie became at least the seventh of nine New York counties fronting Lake Erie or Lake Ontario to oppose the placement of offshore windmills. Nearby, the Chautauqua County Legislature stated its opposition in the summer of 2010. A majority of Niagara County lawmakers this year agreed to oppose a wind farm in Lake Ontario. NYPA has indicated such actions will influence their decision on where to locate the GLOW project. Opponents of the project say wind turbines could obstruct views of the lake, and that construction of the turbines could kick up chemical-laden sediment left over from the lakes’ industrial age. “Anything could stop a project a project from happening. 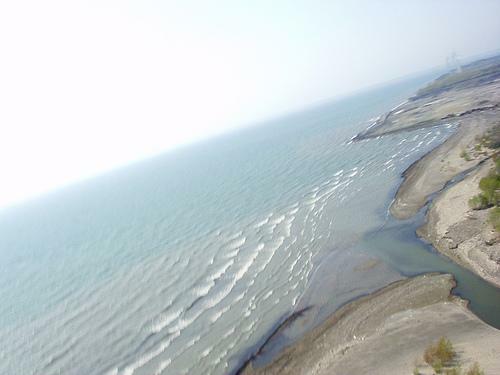 On a positive note though, toxic sediments [are] nothing new to the State of New York or the [Great] Lakes. Anything, though, can adversely affect a project,” Laudisi says. Using a stack of thousands of letters to demonstrate her point, Laudisi says feedback submitted to NYPA from the public and businesses has overwhelmingly supported of the project. 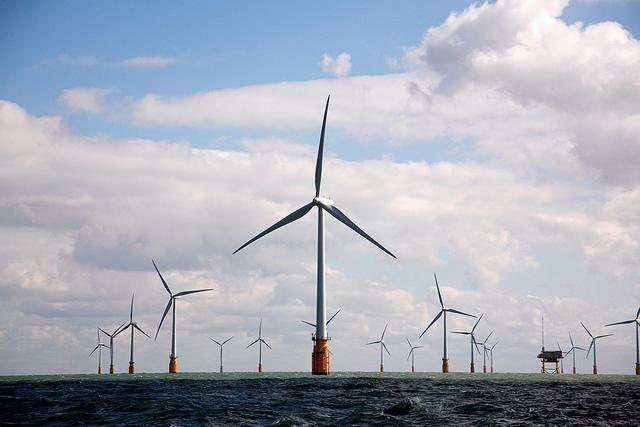 Can't get enough offshore wind? The Rochester Institute of Technology will host a conference Wednesday about Great Lakes offshore wind development from 9 a.m. to 2:30 p.m. in Louise Slaughter Hall. Panelists and presenters will discuss environmental and technical issues, including potential effects on boating and shipping. Imagine a string of hundreds of wind turbines in the Atlantic Ocean running from southern Virginia to just outside New York City. That’s what Google, American, and Japanese investment firms envision with today’s agreement to invest $5 billion in infrastructure that could allow the turbines to go up. In a statement approved 13-2, legislators said they feared a wind farm could dislodge toxins in the lake bed, affect shipping lanes, threaten wildlife with electrical shorts and harm sport fishing — all threats that have yet to be studied for the Great Lakes project. 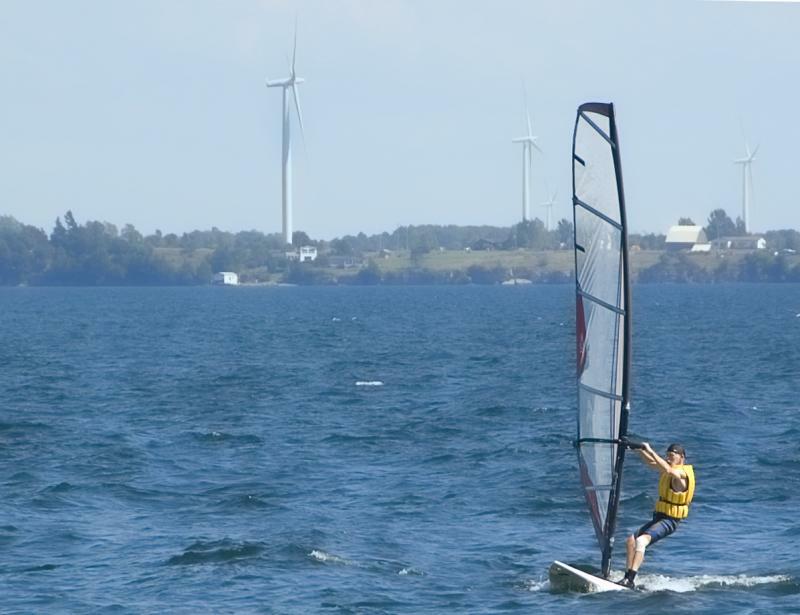 Ontario is putting the brakes on offshore wind development. Ontario is not proceeding with proposed offshore wind projects while further scientific research is conducted.